MM: Sustainability for me with respect to Cobourg means a vital and healthy future for our community and opportunity for each Citizen of Cobourg. During this past term of Council I was accepted into a new program at Trent University in graduate studies, Master of Arts in Sustainability Studies. The program is business and organization based and it brought together my personal and professional interests and experience in landscape architecture (urban planning) and local municipal governance. Through work with colleagues I discovered that I am a systems thinker, with skills in bringing together competing and divergent interests and demands towards finding solutions to complex issues and problems. In the interest of a resilient and progressive future for our community, the Town of Cobourg, I believe my role as Mayor will be rooted in leadership which welcomes diversity of viewpoints as a source of ideas and for problem solving. Leadership with vision includes the ability to facilitate constructive dialogue between Council, Town staff and the Citizens of Cobourg. Sustainability means economic growth hand in hand with environmental stewardship. 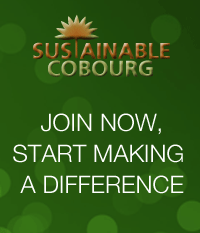 Sustainability for Cobourg means local autonomy, fiscal responsibility and a foundation for collaboration. MM: I have made sustainability part of my mandate for the last four years and as the new Mayor of Cobourg I would look forward to promoting and advocating for decision-making by Town Council in context of sustainable actions. Council and senior staff undertake a strategic planning session at start of the term and review it every year. I would enhance the process to more actively involve Citizens. MM: The first thing, and an early pace setting priority, I would do as Mayor is to meet with Council and senior Town staff to discuss what sustainability means to them as individuals and to their respective areas of responsibility. A common goal or set of goals would need to be identified. The conversation would uncover where there is agreement and where there may be differences. With each item of difference or disagreement, facilitation of the meeting would seek to identify gaps and barriers. The discussion would continue, perhaps over a series of meetings, towards finding alignment towards the common goal. In this way, ideas can be brought forward which can be used to further the collective interest of a vital and healthy community. As Mayor I foresee that the discussion may also be valuable as part of the municipal budget process or strategic vision plan or both. There is also a role for public participation which would be woven into the various processes. This aligns with my goal as Mayor to ensure the business of Council is transparent, accountable and efficient; and, concurrently ensuring Council is responsible and responsive to all Citizens of Cobourg. MM: Yes! I would be prepared to sign a pledge to support active transportation within Cobourg. I also believe it important to do even better and propose taking the pledge be part of a community event with announcement about ‘Made in Cobourg’ initiatives further to the objectives of each of the named organizations listed in the Share the Road pledge site. I will also share with readers at this time that, further to a presentation by the Bicycle Action Committee to Council, it was my motion as Town Councillor and Coordinator of Public Works that initiated the creation of a new advisory committee of Council, the Active Transportation Advisory Committee. Further, I believe that emerging issues in active transportation will need to address additional modes as well as bicycling and walking.